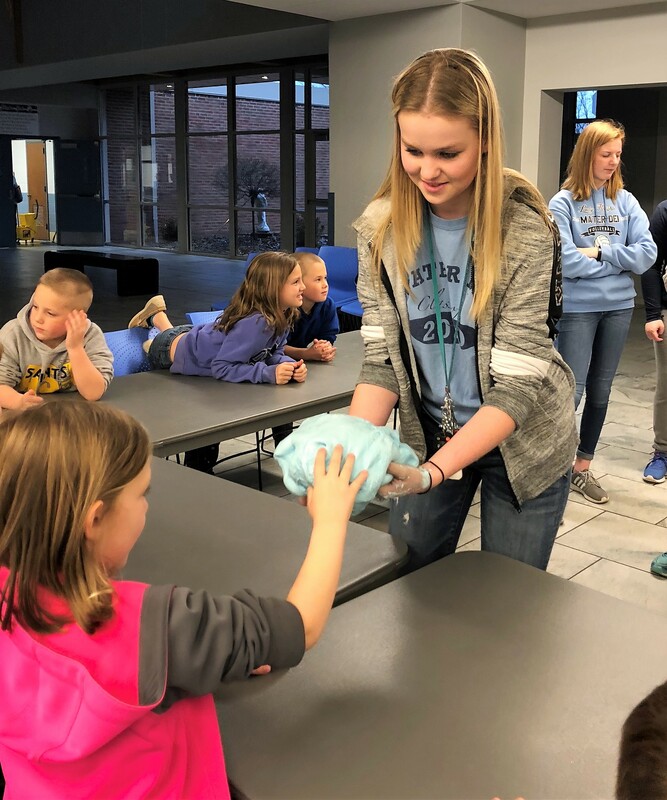 During the recent Junior Knights Science Night, Science Club members provided “lessons” on creating homemade ice cream in a bag, slime, oobleck, and water and oil lava lamps. We thank Science Club moderator Mrs. Michelle Thomas and members of the Science Club for providing an event that was both educational and fun! 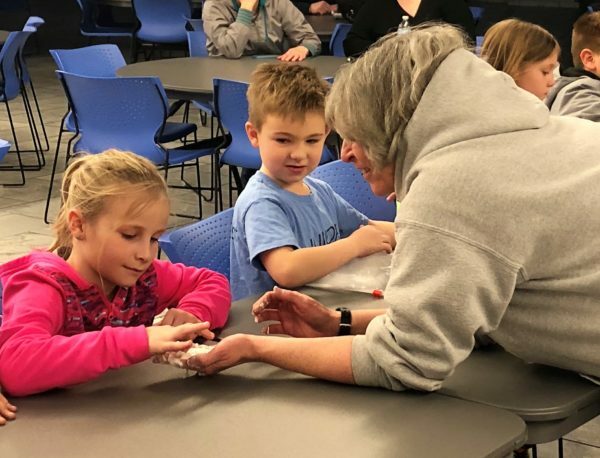 Science Club moderator Mrs. Michelle Thomas (right) is pictured providing Junior Knight Avery Becker the opportunity to play with the oobleck as Junior Knight Jackson Ross waits for his turn. Science Club member Emma Timmermann (standing) is pictured providing Junior Knight Reagan Klostermann the opportunity to play with the slime.